Kathmandu –Kathmandu Metropolitan City (KMC) has started managing the cables that are haphazardly lying on the side of the streets as part of its efforts to beautify the city in preparation for the upcoming BIMSTEC Summit. The summit meeting of the Bay of Bengal Initiative for Multi-Sectoral Technical and Economic Cooperation (BIMSTEC) is taking place in Kathmandu on August 30 and 31. An official at the KMC Environment Management Department said they were removing all cables installed haphazardly on the electricity poles by various bodies as these tangled cables were spoiling the city's beauty. Chief of the Work Operation Section at the Department, Meen Bahadur Thapa, said various agencies had spoilt the face of the city by leaving the cables dangling and jumbled up on the electricity poles. "All these cables would be removed and only the ones that are installed in a neat and systematic way would be spared," Thapa said. In this connection, the Department has speeded up work regarding managing such cables in Putali Sadak, Pradarshani Marga, Lainchaur, way to Soaltee Hotel and places around the President Office. KMC had started removing the unsystematic cables since last November but has now intensified it in view of the BIMSTEC Summit. So far, 65 mini-truck full of such cables has been removed. The highest volume of such cables includes the cables installed by the Internet Service Providers and telephone cables. Thapa said the unsystematic cables that were hanging loose from the poles and the useless cables also posed security risk to pedestrians. So they needed to be removed. Collecting dust, keeping those throwing garbage haphazardly under surveillance, collecting cables thrown haphazardly in course of road extension, among others have become the regular job of the Department. 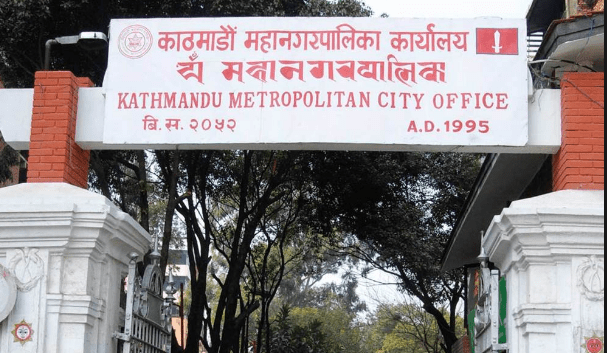 Ward Chairperson of KMC-16, Mukunda Rijal said that the KMC would manage the cables on the streets of Kathmandu in a systematic way as haphazardly installed cables was one of the factors spoiling the beauty of the city. Nepal, India, Bangladesh, Myanmar, Thailand, Bhutan and Sri Lanka are the member countries of the BIMSTEC, established in 1997. Nepal joined this regional organisation in 2004. The first BIMSTEC summit was held in Thailand in 2004, second in India in 2008 and third in Myanmar in 2014.